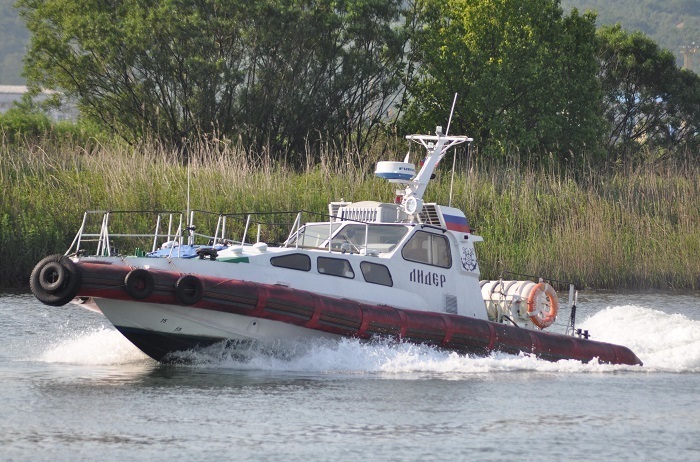 FSUE Rosmorport says it will hold an auction for the right to sign a contract on purchase and sale of federal real assets, namely Leader pilot boat (homeported in Nakhodka) being under economic jurisdiction of FSUE Rosmorport’s Far East Basin Branch. The ship was built in 2005 by Khabarovsk Shipyard. Class notation - КМ AUT3 HSC. Area of navigation – sea waters of up to 50 miles from the shore, water areas of ports, rivers and water storage reservoirs. Endurance – 7 hours. LOA – 11.45 m; BOA – 3.14 m; depth – 1.70 m; draft – 0.61 m; registered tonnage - 12 tonnes; deadweight – 0.8 tonnes; full displacement – 8.84 tonnes; propulsion - 2 x 221 kW (2 х 300 h.p. ); speed – 29.7 knots; crew - 2; special personnel (pilots) - 4. Proposals are to be submitted to mail@vst.Rosmorport.ru.